Gather round ye fashionable queers, I have a tale for thee. Once upon a time in a land queer, queer away lived village of fools who believed that socks were for matching or at least that’s what they say. OK, I’ll stop it there! 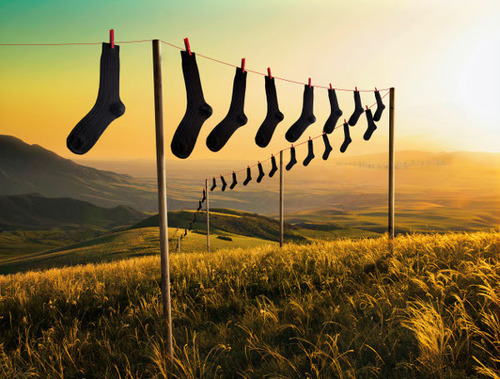 If you’ve been told that your socks should match something you’re wearing (whether it be your pants, belt, jockstrap, whatever…) you have been sadly misled like a small army of rats following the pied piper. 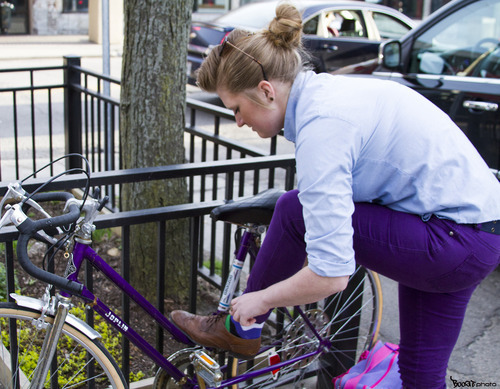 Sticking with your safe neutral and dark socks actually means that you’re missing out on an excellent opportunity to add some personality to your look. 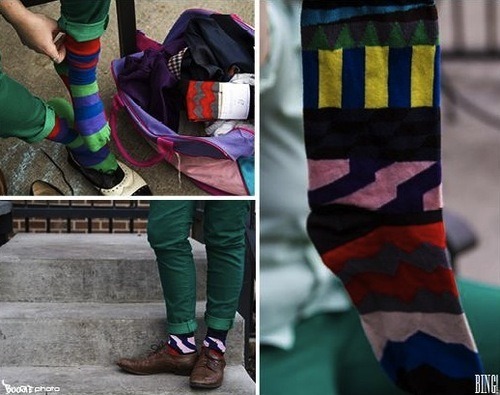 Companies such as Happy Socks and Paisley Sockwear challenge you to let your inner creativity flow onto your feet! 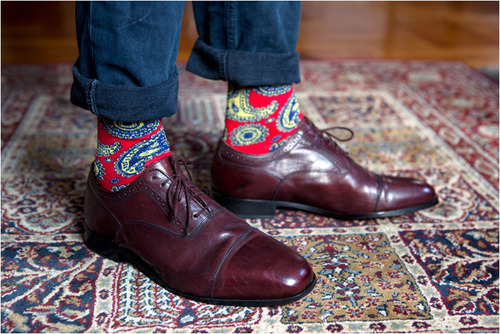 I personally LOVE Paisley Sockwear and have quite a few pairs that I throw on with just about everything I own. The quality is superb and the reactions are priceless. This is the opportunity to let your freak flag out. Let your feet fly with the colors of the rainbow — may they brighten up your day and your outfit — and be just as exciting and amusing as you are! One option is to go bold. 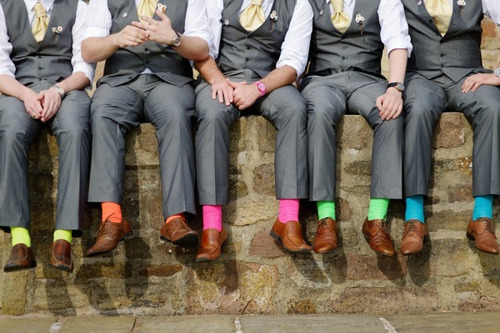 Bold colored socks that contrast your outfit are also a great idea and another way to add character to your look. This shows that you have a playful side but you’re not too wacky. More subtle colored socks with patterns are also a great way to add some sass in your step ESPECIALLY if you are going to have to match other people. More mild colors allow the individual to feel comfortable in their own shoes but add a bit of whit to their appearance. If you doubt anything that I’m saying, know this: Ellen Degeneres does it and encourages you to as well with her Socks by Ellen. Can’t argue with that! Long story short, put those dull black, brown, and navy socks back in the drawer and dream a little bigger, you deserve it.